Tumi's Knox backpack combines high-quality materials with style and makes room for all your gadgets. With the never-ending stream of new technology and gadgets, it seems that everyone is carrying around more and more weight these days. Laptops, iPads, Kindles, cameras, it’s enough to make your back hurt just thinking about it. 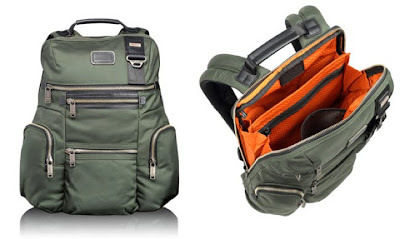 This modernized utility backpack from Tumi has you covered with ample storage for your pile of backbreaking devices. The Tumi Knox backpack ($265) has a laptop compartment and plenty of room for your other gadgets or papers, with several internal pockets and a large zippered pocket. The external pockets give you quick access to your phone, camera, and other essentials, while the modern utilitarian design keeps things casual without causing anyone to mistake you for a 7th grader. High-quality construction and a non-trendy design mean this bag will stick with you.